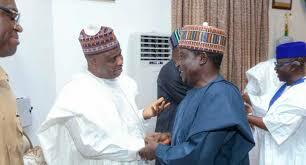 Governors Pay Condolence Visit To Plateau over Killings – Royal Times of Nigeria. 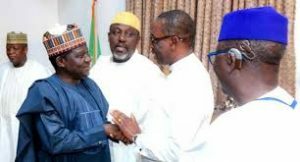 The Nigeria Governors’ Forum has visited Plateau State to commiserate with the people and government of the state over the recent killing of their people by suspected herdsmen. Chairman of the Forum and Zamfara State Governor, Abdul’Azeez Yari, led his colleagues on the condolence visit on Friday. They were received by Governor Simon Lalong and other senior government officials at the Government House in Jos, the state capital. Speaking on behalf of the forum, Yari informed the Lalong that members considered the visit necessary to sympathise with the victims and people of the state and to extend their solidarity in the fight against terrorism across the country.